ACS, Ipoh! Such a well-established institution of over a hundred years! The majestic main block (currently known as the Form 6 Block) has always been an eye-opener for people who pass by Jalan Lahat. Being the oldest school in Ipoh, the school is rich in history and tradition and I am proud to be part of the School. I enrolled in this school for my secondary education in 2005. I was originally from a Chinese school, the SJK(C) Sam Chai, and my family is educated in Chinese. Hence I had second thoughts in choosing ACS, Ipoh as my secondary school. Realizing the importance of English, my mum decided to send me to this institution despite strong disagreement from other family members and the teachers of my former school. The first few weeks in ACS was HELL. Besides the difficulties in communication, I experienced great cultural shock. Students from this Methodist School are so different from the students in the Chinese school. Even though it is called the Anglo “CHINESE” School, it is not a typical Chinese school! Unlike my former school where I only had to deal with one race, namely the Chinese, in ACS I came across students of different races. I felt uneasy to be with the other races not because I’m a racist but they were just too strange for me. I couldn’t get used to the new environment and culture. There was even once where I thought of transferring back to a Chinese school so that I could cope more easily with my secondary education. However, my friends of the other races were the ones’ who broke the ice. They were so eager to learn about the Chinese school culture besides helping me whenever I had communication problems. I remembered one of my friends, Swarruben, who helped me in translation as I had problems talking in English to my friend, Manveer, who is Sikh. To my surprise, Swarruben, who is Indian, tried to understand by talking to me first in Cantonese before he translated it to Manveer! Swarruben wasn’t staying in a Chinese community nor studying in a Chinese school but, yet, he managed to converse with me in Cantonese. So I questioned myself….. “What is wrong with you?” From him, I learnt not to be shy in learning. From that day onwards, I started to learn to talk to the other races besides learning their culture. Although sometimes I come out with funny words due to my poor command of English, they were so eager to correct my mistakes instead of insulting, or discriminating against, me. This is something which can rarely be seen in the Chinese school where I came from. When I was in Form 2, I was asked to do a folio regarding the school’s history. At first, it seemed to be a tough job as ACS has more than a hundred years of history. However, it somehow became interesting for me to unveil the history of the school bit-by-bit as the task progressed. I started to gain more interest in the School. Looking at its history, I realised that the School has produced a lot of talents over its100 and more glorious years and I soon wondered if I could become one of them in the future!! Another eye-opener for me is the Prefect Board. I was an ex-head prefect in my former school. Handling only one race in my former school was anything but a piece of cake. My parents discouraged me from being a prefect in secondary school especially in ACS as the school is multi-racial. However, due to personal reasons, I joined the Board in Form 1. The Board was so well-organised compared to other schools. It had more than 15 in the Exco, and more than 60 Senior Prefects. Excluding the Probationers, there were already more than 70 prefects in each batch! Perhaps, this explains why the school has no “gangsterism” problems because the group of prefects is very large, with more than 100 members, and they are given the mandate and support by the School to control discipline. I started to wonder how proud I would be if I could become the “Head” of those one hundred prefects!! The Prefect Board was given the honour to be the highest board of the School, higher than the “Gabungan Badan Pelajar” which helps to control all the clubs and societies. However, being a prefect in ACS has never been a bed of roses. The prefects are involved in a lot of activities such as: the annual Canteen Day, Teachers’ Day, Drama duty, School Alumni duty, leadership training camp and so on; besides taking care of the School’s traffic department, parking lots, School assembly, students’ welfare as well as the School facilities. This cannot be done without the systematic delegation of jobs and, most importantly, the spirit among the prefects. Unlike the prefects from other schools, ACS prefects are so passionate of their duty and their teamwork is undeniably the BEST where all of us would stick together and counsel the students who try to go against the School rules. They are selfless and are always ready to help and serve the School. The students of the School are very active in extra-curricular activities. Unlike some schools which focus more on academic achievements, the School also emphasizes on co-curricular achievements. Because of this, ACS produces numerous all-rounders every year. The students in ACS not only excel in their studies but also attain excellent results in national events such as badminton tournaments, water polo competitions, national debates, public speaking competitions and even the Malaysian National Service Programme (PLKN). I’m proud to mention that I was one of the recruits who did well in the PLKN programme, becoming the “Wira Terbaik” in my National Service camp at Bidor. The fact is: I wouldn’t be able to do this if I weren’t from the ACS. This is true because the PLKN is run under the concept of “1 Malaysia” , and coincidently, ACS is managed along the lines of the “1 Malaysia” concept as we have more than 3 races in this school who are willing to help and guide each other at all times. Therefore, it was easy for me stay with the campers from other races as I have got used to it in ACS. My Form 6 life was deemed the toughest, yet the most enjoyable for me. When I was in Form 6, I was more involved in co-curricular activities besides taking 5 subjects for my STPM. My leaderships skills, together with my good co-curricular and academic achievements, won the support of teachers and students alike and I became the Head Prefect in 2010/2011, a post which I had hungered for since Form 1. I thought that it was only a dream but I finally made it!! In Lower 6, I also took part in the annual school play, “The Three Musketeers”. It was initially a MUET programme as our MUET teacher, Pn. Susila, aimed to boost our confidence in public speaking. However, it was eventually staged for the public. The entire play was run by the Sixth Form Society, though the main efforts came from my class, 6RE. Our tireless efforts have made the play a successful one. In the play, I took the role of the “Cardinal Richelieu”, an antagonist. Pn Susila and my friends wrote a song named “The Cardinal Song” for me to sing during the play. It was indeed an unforgettable experience. We usually hang out at mamak stalls after the practice to cool off. It was tiring but we loved it. The drama experience will forever be treasured. In Upper 6, one of my favourite teachers retired. Mr. K.C.Leong was my physics teacher since Form 4. He is an optimist who loves to bring joy to his students. He performs on the stage during events like teachers’ retirement and Teachers’ Day. So, as his beloved student, as well as the Head Prefect, I sang 3 songs for him as he admires my singing. I sang a Chinese Song and two English songs which were all his favourites. I was glad that he loved it and, surprisingly, the students and the other teachers loved it too. A week after Mr. K.C.Leong’s departure, our Principal Mr. Cheng Sai Lak retired. Once again, I was requested to perform but this time I did not sing but was asked by the School’s Wushu Club to perform. It was a great surprise for everyone as few of them knew that I do wushu. I performed the famous “Seven Stars Praying Mantis” for our beloved principal, Mr. Cheng. The cheers from the students and the teachers were remarkable! There were other cultural performances by the students and Mr. Cheng was very happy with them. Mr. Cheng, our respected principal since 2005, had brought changes to the School with a lot of renovations carried out. Under his leadership, the School has broken the Malaysian Record TWICE in its history where all ACSians worked together to construct the largest “Kolam” and the largest “Logo” ever made in Malaysia. The two mega projects were directed by Dr. Kathirasan and both have successfully raised funds for the School. My all-round performance enabled me to win 5 awards during the Speech Day on 29th July 2011, namely: first position in 6RE; first position in Lower 6; the BUNN Foundation Award; the Piala Androdev A/L Ramesh Suppiah Award; and the ultimate All-Rounder’s Award. My parents were very proud of me. They came on stage to receive the All-Rounder’s Award with me. After the Speech Day, the students called me “The Legend”. All these achievements were beyond my wildest dream. I thought that I would be a poor student having made a wrong decision entering this school. I thought that I would be isolated as I wasn’t from this school. How on earth did I expect myself to do all these….? But the results have proven that I made the right decision. I am proud to be an ACSian and I really miss my life in ACS. The teachers from this school are simply the best. They are not only passionate and experienced, but are also concerned about the student’s welfare in every way ranging from studies to every other problem that we may face. This creates an atmosphere that makes us feel secure and at home. I would like to express my greatest gratitude to our ex-principal Mr Cheng Sai Lak and also to all teachers who have helped me all the way through, namely: Mr K.C. Leong; Pn. Lee Kim Yoon; Mr. Sivanandam; Pn Susila; Pn Valar; Mr. Liew Chee Meng; Mr. Lee Tatt Lang; Pn Kwan Ping Ping; Mr Magandran; and others (too many to mention ). And not forgetting our beloved principal, Pn Soot Mooy Ching, who works so hard for the school and loves her students very much. Throughout my life in ACS, I was glad that I have my friends with me at all time. They have guided me, helped me, besides influencing me. Duncan Yau, my best buddy, who was well-known for being the badminton champion in ACS. He represented the Perak Badminton Team for many national events and won a lot of national awards. He taught me how to play badminton. I became a badminton player due to his influence. I would also like to thank my friends, Zhi Hui, Marcus, Teik Sern, Krizun, Daryl for helping me. They have enlightened and supported me whenever I was having problems. To all my friends, I miss you all. Thank you for brightening up my life in secondary school. Not to forget the PREFECTS. Thank you for your dedication towards the Prefect Board and the School. I am glad that I had the chance to work with all of you. I would also like to express my greatest gratitude to my beloved teacher adviser of the Prefect Board, Mr. Sivanandam, who was also my mentor since Form 1. He has worked so hard for the Prefect Board besides defending the rights of the prefects. Thank you for all your dedication towards the Prefects Board as well as the precious advice you have given me since Form 1. Dr. Kathirasan once mentioned that ACS, Ipoh is located with the best “Feng Shui” and is blessed by a lot of “good spirits” which had helped the School to maintain excellence in all fields for 117 glorious years. May the “good spirits” continue to bless us. 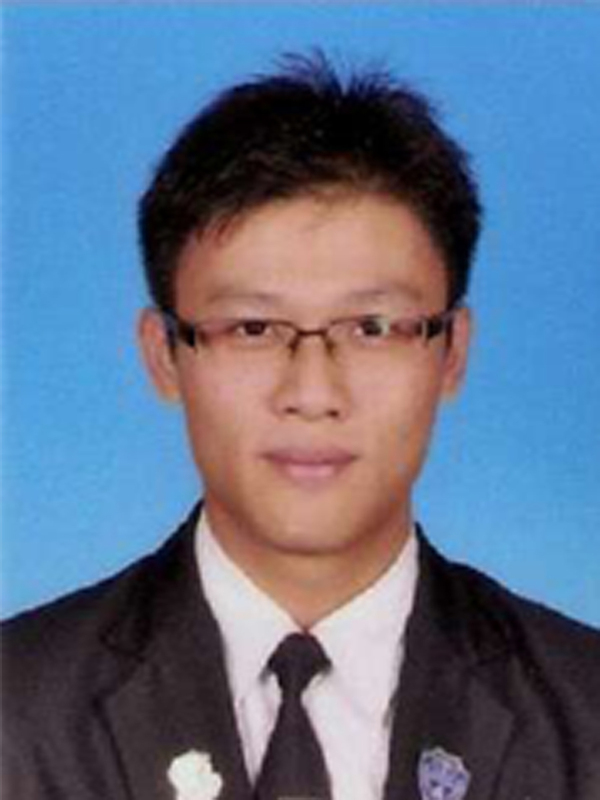 Siew Fai was Head Prefect 2010/2011. He has applied for admission into local medical schools and is keenly awaiting their response. In hindsight, Ipoh ACS was a pioneer “multicultural” institution using the English language as a common denominator. The word “multicultural” was not invented yet. The experience described by Siew Fai is consistent with the camaraderie experience by many generations of ACS students for more than a century. His confidence built around his classmates and teachers showed that Ipoh ACS is still with it as a school which encourages the pursuit of excellence. Siew Fai is a product of a bi-cultural education and has done well on both camps. He also overcome personal difficulties in adjusting to his new environment. He succeeded and excel. I am proud of his achievements in school and I wish him success in his endeavors particularly in pursing a medical career. Good luck Siew Fai.